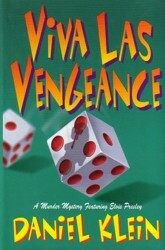 "Viva Las Vengeance" Packs A Punch! The third instalment (a fourth is in the works) in Daniel Klein's exciting murder-mystery series featuring super-sleuth, Elvis Presley is now out. The plot takes place in 1964 as Elvis enjoys some rest and relaxation before commencing filming on Roustabout. However his peace and quiet is interrupted by the ritualistic murder of an enormously overweight tourist, a murder closely followed the next day by a second killing. Elvis finds himself entangled in an inept police investigation with a cast of colourful and unusual characters. Who is behind the murders? Is it a hotel and casino war? Is it a war between local wedding chapels? Is it a war between Sin City's major brothels? "The moment Shiva led Elvis into her tent, they clutched each other and kissed. And oh my God, what a kiss it was - succulent, rapturous, and yet somehow so very young and innocent. Elvis started to unbutton his shirt. "Hi, Mommy!" Elvis froze." Daniel Klein has once again woven an involving tale of murder, music and romance. Critically, Klein's central character is well drawn, strong and believable. The other characters in Viva Las Vengeance are an eclectic bunch. 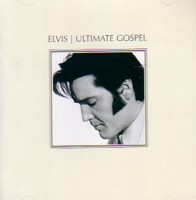 There is a group of born-again Christians who view Elvis as the Second Coming ('Jesus Presley' and 'Pope Elvis the First'); Dr Billy Jackson, Elvis's best friend; Digby Ferguson, a pill popping, enlightenment-seeking Harvard Divinity dropout with whom Elvis forms an unlikely alliance; stunning Vegas dancer, Meryl "Miss Candy Kane" Rubelski and Howie Pickles, the incredibly annoying headline comedian whose jokes quickly become known as being 'deadly'. Apart from these protagonists, there are characters familiar to all Elvis fans: Priscilla, Ann-Margret, Colonel Tom Parker. Throw in a Don't Be Cruel Peace Concert, a horde of randy showgirls, some heavy- duty motor oil and religion that's bad for your digestion, and you have a fast paced mystery pot pourii that's as entertaining as it is colourful. "Shiva stared back at Elvis, tears filling her almond eyes, and she spun around, raced into the bathroom, and slammed the door behind her. 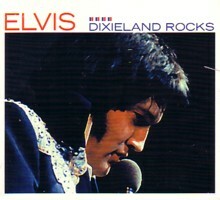 Elvis felt his heart shrivel up in his chest until it was no bigger than a bee." The love-making between Elvis and Shiva is also nicely presented, obvious without being too graphic or pornographic: "Shiva lowered herself onto him, drawing the very center of what made him a man inside her." "Look at you, you're living proof of reincarnation - nobody could get that dumb in just one lifetime!" "Man, you're so ugly, your dog closes his eyes when he humps your leg!" And some of Pickles' comments to members of his Vegas audience will have you laughing long after the scene has finished. Even the titles of many of the chapters raise a smile, for example, 'Elvis Interruptus', 'The Beagles from Liverpool', 'Recently Adjusted Underwear' and 'Ain't Nothin' But A Dead Man'. Verdict: Viva Las Vengeance continues Daniel Klein's strong literary presence with his crime-solving hero, Elvis Presley. The central figure is strong and believable as is the primary plot and the sub-plots. This is a well-written and engaging novel that will have you laughing, and guessing, from beginning to end.